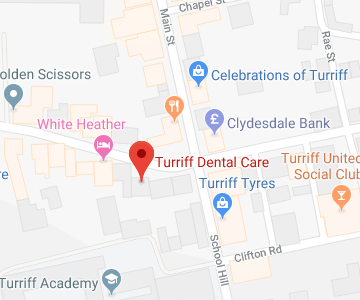 Our well-established practice is conveniently located on the High Street in Turriff. We provide a relaxed and friendly service, with particular emphasis on helping patients to feel comfortable and at ease with us. 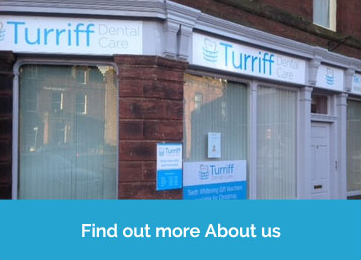 Turriff Dental Care is a modern and well-equipped practice. Our experienced, enthusiastic team enjoy getting to know our patients and tailoring their treatment to their specific requirements. We provide all the usual general care including check-up examinations, hygiene treatment and preventive dentistry. 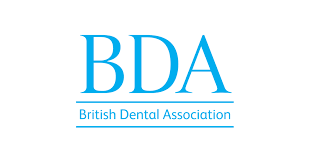 We also offer a range of cosmetic treatments including tooth whitening for a whiter, brighter smile, dental veneers to hide a variety of imperfections, dental implants to replace missing teeth and invisible braces and aligners for beautifully straight teeth. We accept adults on a private basis and children and young adults up to the age of 21 under NHS arrangements. Private patients can pay for treatment as required or spread the cost by joining one of our Dental Care Plans. 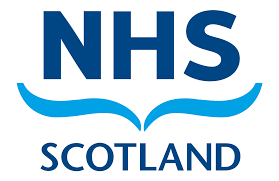 If you would like any further information about our practice or the services we offer please get in touch. We look forward to helping you and your family to have and maintain healthy, happy smiles.